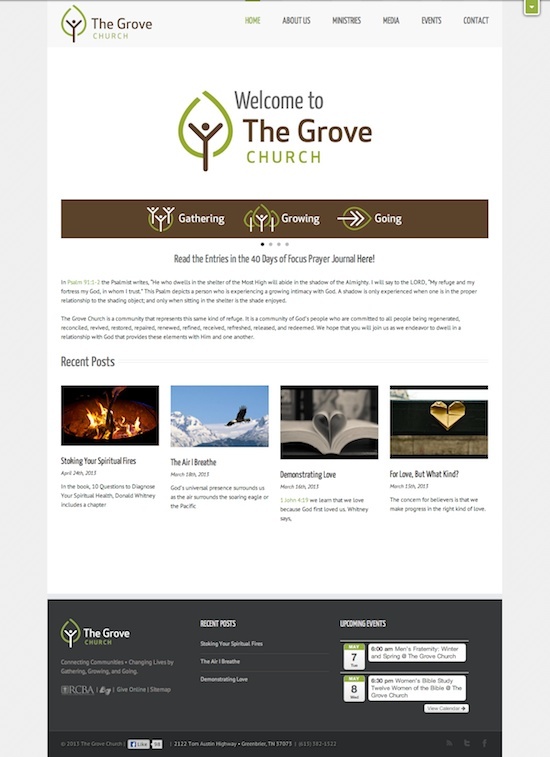 The site for The Grove Church was “huge” in volume, both for content (sermons, events and text) and images. 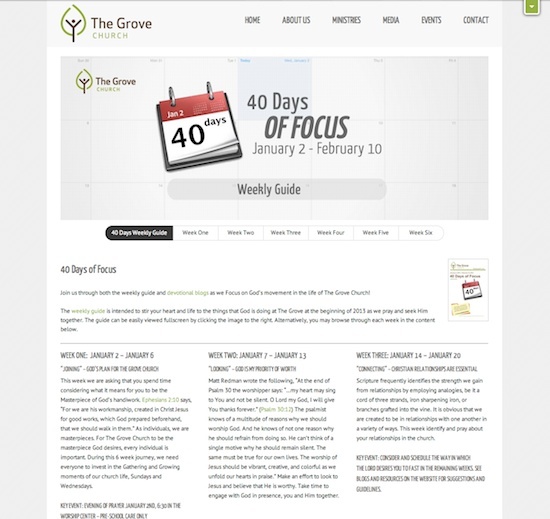 This included some 40+ sliders/featured images to complement the subject (images tend to help), and lots of miscellaneous graphics/images that were placed throughout the site. After a trail and error with a different theme, we landed on Avada by ThemeFusion the day it was released and have been thankful ever since. There were lots of plugins used for the Grove site. 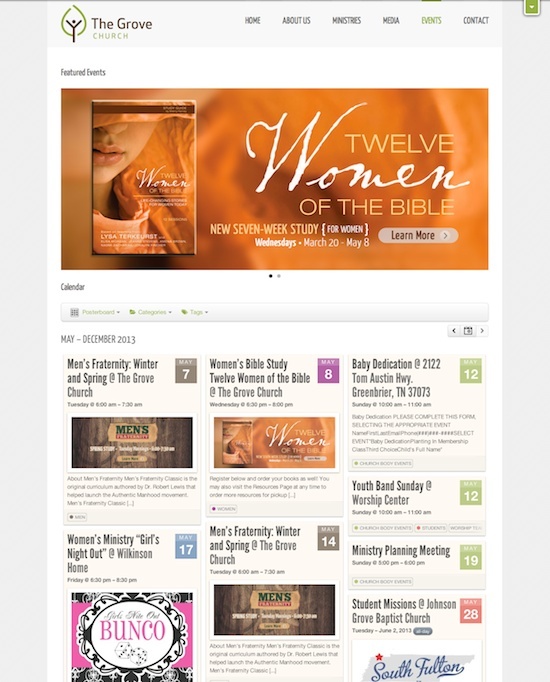 These included Gravity Forms with MailChimp and PayPal Add-ons, AddThis, the All-in-One Event Calendar by Timely, DISQUS Comment System, and RefTagger. 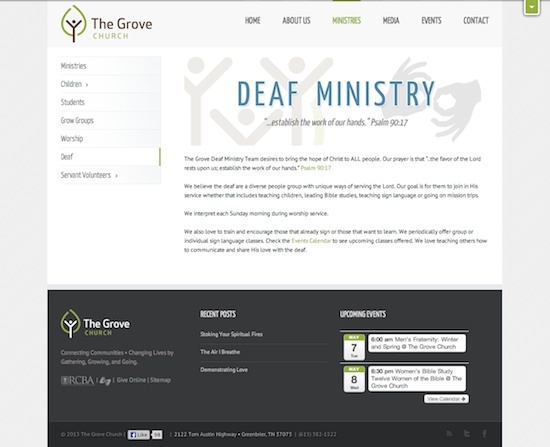 Unique to The Grove’s site was Sermon Manager, SeriesEngine, Slick Sitemap (highly styled), Super RSS Reader and the premium plugins RoyalSlider Slider Revolution and Foobar Notification Bars. 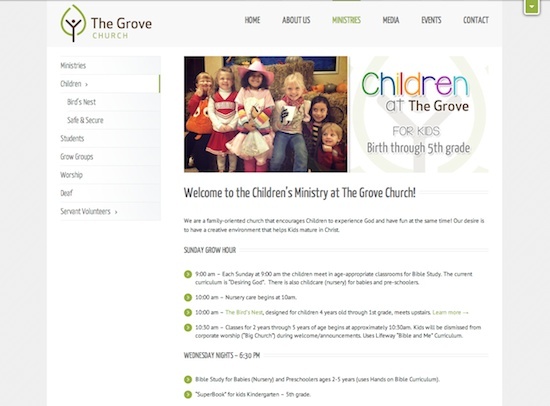 The motto of The Grove Church is "Connecting Communities, Changing Lives . . . by Gathering, Growing, and Going".